Even our lexicon is all wrong. We say things like...... Ohhh Syed Farook is a radical muslim that is why he killed innocent disabled infidel americanos in San Bernardino...........it is Radical Islam that we have to watch out for. This implies that there is a benign version of Islam ...one which teaches love for their neighbours and even love for their enemies. Respect and equality for women. Freedom to accept or leave islam without dire repercussions ( such as being beheaded lol ), acceptance and equality for gays and lesbians and transgenders ( uuuh not throwing them off the roof of tall buildings would suffice for starters lol ), Not calling jews and christians discendants of pigs and apes ( do U know of any other religion that resorts to calling names in their sacred texts ? LOL duuuuh ), Rejecting the tenet that hindus and buddhists and other 'pagans' should be killed immediately if they dont convert to islam ( only jews and christians have the option of becomming dhimmis ), Separation of mosque and state etc etc.... WELL DO U KNOW OF ANY SUCH NON-RADICAL MODERATE ISLAM THAT TEACHES THE FOREGOING TENETS?...DO YOU ???????? !!!! Of course islam hides under the protection of ' religion' when in reality only 10% of islam is religion ( rites and rituals ) and the other 90% is poltical ideology and totalitarianism or fascism of the worst kind . Please browse thro this excellent site , bookmark and share with the still sizeable clueless infidel communty out there who thro their ignorance are serving as useful idiots aiding and abetting the proliferation of Islam in free societies ! http://islam4infidels.com/Muslims know. At some point, everyone will know about these groups. 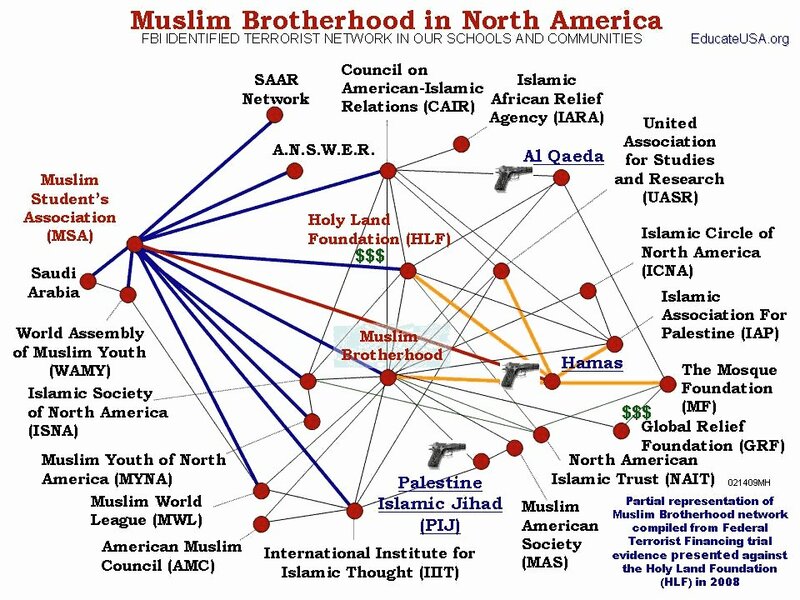 As you can see, the Muslim Brotherhood is a far reaching network with many sub-organizations. The Muslim Brotherhood is a far reaching network with many sub-organizations. 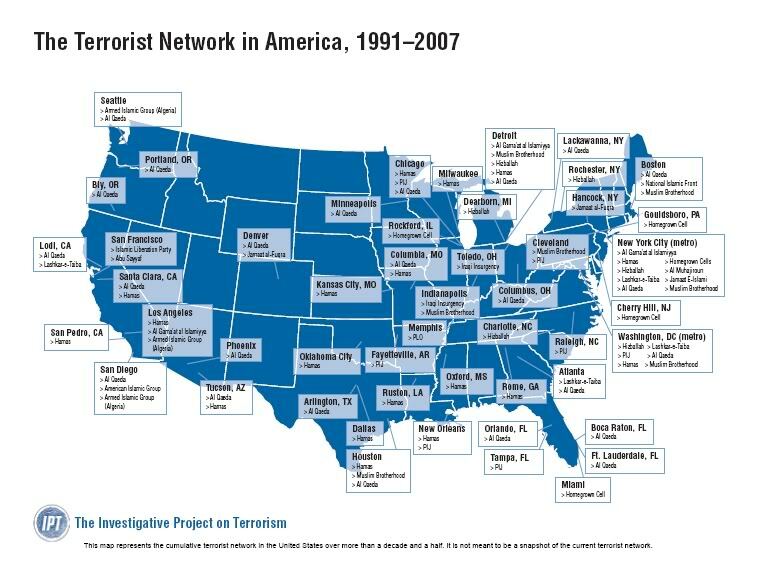 They maintain control of many Islamic organizations.